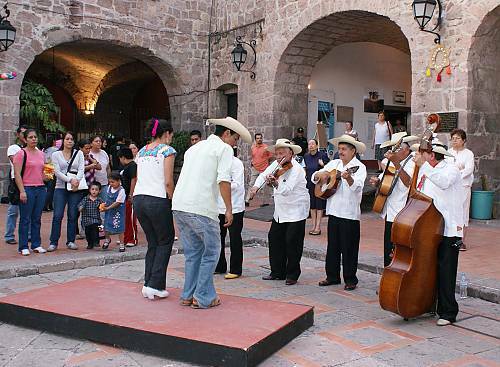 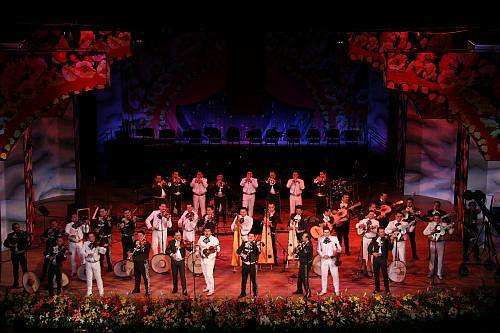 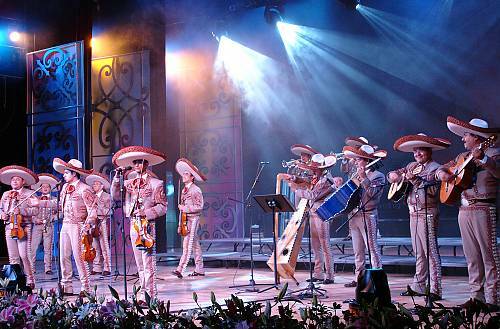 Mariachi is a traditional Mexican music and a fundamental element of Mexican culture. 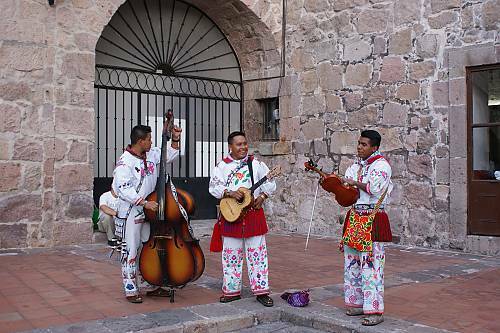 Traditional Mariachi groups, made up of two or more members, wear regional costumes adapted from the charro costume and interpret a broad repertoire of songs on stringed instruments. 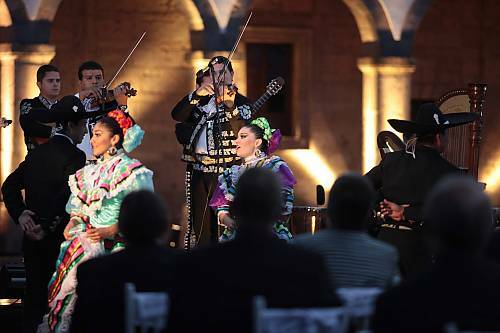 Ensembles playing ‘modern Mariachi’ include trumpets, violins, the vihuela and guitarrón (bass guitar), and may have four or more musicians. 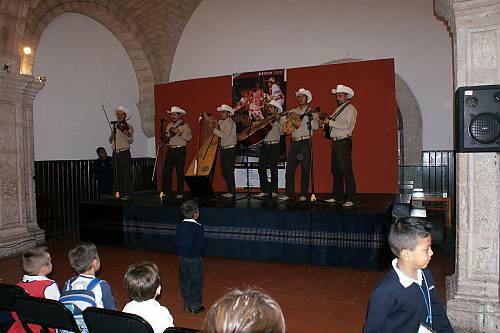 The wide repertoire includes songs from different regions, jarabes, minuets, polkas, valonas, schottisches, waltzes and serenades, in addition to corridos (typical Mexican ballads narrating stories of battles, outstanding deeds and love affairs) and traditional songs depicting rural life. 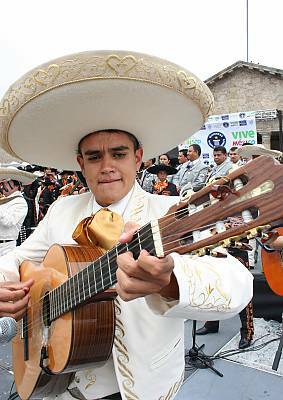 Modern Mariachi music has adopted other genres such as ranchera songs, the bolero ranchero and even the cumbia from Colombia. 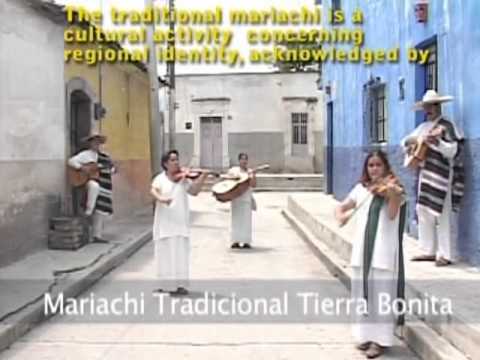 The lyrics of Mariachi songs portray love of the earth, hometown, native land, religion, nature, fellow countrywomen and the strength of the country. 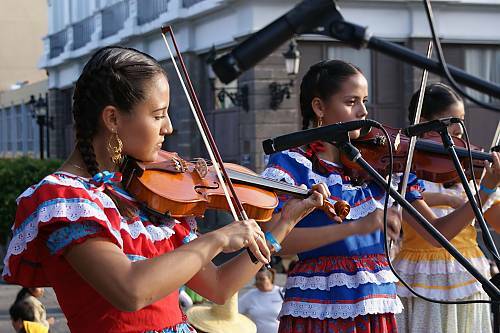 Learning by ear is the main means of transmission of traditional Mariachi, and the skill is usually passed down from fathers to sons and through performance at festive, religious and civil events. 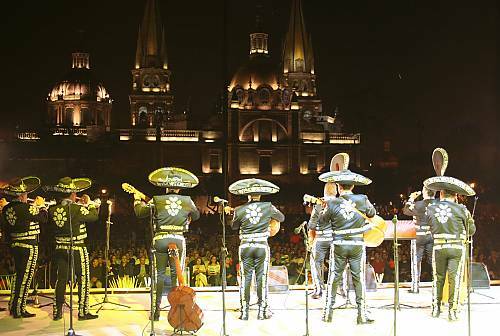 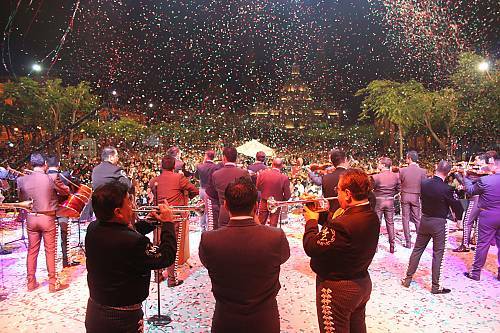 Mariachi music transmits values of respect for the natural heritage of the regions of Mexico and local history in the Spanish language and the different Indian languages of Western Mexico.